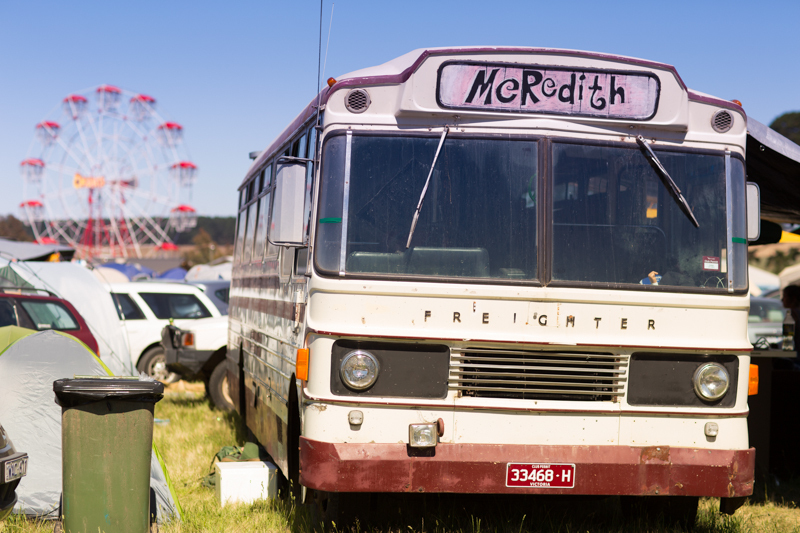 Chartered and Private Buses are a great way to get to and from the Meredith Supernatural Amphitheatre. In recent years we’ve made it easier for people to take the bus, which has included reworking the layout of Reception to better accommodate bus arrivals, and the introduction of a registration system. There are some protocols and tips you will need to observe to make this happen smoothly. If you are arriving in a bus that will leave the site after dropping you off and return to pick you up at the end, please download and complete the MY BUS IS LEAVING information BEFORE arriving and keep on the dash whenever on site. If you are arriving in a bus that will stay on site for the duration and take you home afterwards, please download and complete the MY BUS IS STAYING information BEFORE arriving and keep on your dash the whole weekend. In both instances, please take a photo or scan your form and email it through to the Buses Manager at least 48 hours prior to arrival, as this helps us to get you to your preferred campsite. Although in some cases this may not be possible. The site map can be viewed here. If you have any questions or concerns, email our Buses Manager or Aunty Meredith. Getting home safely is part of Meredith and Golden Plains. Thanks very much for taking the bus.